Poultry farming is the act of rearing domesticated birds such as chickens, ducks, turkeys and geese for the purpose of getting meat or eggs for food. This involves building poultry pens, taking care of chicks, brooding, vaccination and selling of eggs and meat to the consumers. Though the words “Poultry farming” covers rearing of chickens, turkeys, duck and geese, this post will be focused on chicken farming aspect of poultry business. 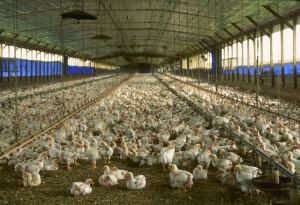 A poultry farm could be run on intensive or extensive housing system, depending on the resources available. 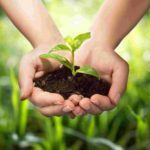 You could use battery cages or deep litter system, depending on your plan. Today, I will be taking you by the hand and showing you how to start and make money from poultry farming in Nigeria and Africa. I’ll also give you our company’s phone numbers, should you have any questions. Yes, I’ll soon show you how you can visit one of our associates’ poultry farms for practical poultry farming training. Make sure you read this post to the end.. Please forgive me as I will assume that you do not know anything about poultry farming business before now, so I will start from the elementary. Poultry farming is raising of domesticated birds such as chickens, turkeys, ducks, and geese, for the purpose of farming meat or eggs for food. Poultry farms are farms where birds (of different nature) are raised, either for personal consumption or for commercial purposes. Now I want to make two assumptions. 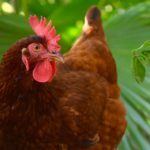 Second, you`re likely to have interest much more in chicken than other birds, since Mr. and Miss chicken happen to be the most popular poultry birds. On these two assumptions will this tutorial base. What Aspect of Poultry Farming Will You Love to Start? 4. The Hatcheries. Here you have people who hatch chicken and other birds. This aspect of poultry farming business is very important (though not common) because the health of a bird is determined by the effectiveness of the hatchery process. You guess it. These guys manufacture various equipment needed on the poultry farm. You will need experience in aforementioned niches before you can succeed as a consultant. Taking all of the above together will require so much capital, but not just that. Starting all the above together will not work because poultry farming in Nigeria (or anywhere else), like any other business has a learning curve. For example, when you see a company doing all the above together, their story may look something like: Starting with layers birds for some months, going in to broilers production, expanding to poultry feed production, later hatchery and since they might have spent many years by now, they can now venture into poultry farming consultancy. I`m sure you got that. Start somewhere. Learn and grow. Crisis management. Did you hear someone said poultry farming business is very risky? That`s not true. Every business is risky, not just poultry. However, starting all the above together (even if you have enough capital) is not advisable because you are putting too many food in your mouth at a time. Now that you have some ideas of various branches of the multi-billion poultry farming industry, I want to assume further that most people reading this will love to go into either broilers` or layers` breeding. You really don’t have to be worried about how to start your own profitable poultry farming business. At the ABC, we want to give few people the opportunity to use our associates’ professional poultry farmers to make their own poultry business successful. As noted before, here I will be talking about the first two branches of poultry farms (Broilers and layers` breeding, since they are the most popular and with much market demand). Later on this website I will be talking about the cost of other branches. In one hand, I would have loved to compare your intending poultry venture to giving birth to many children. You will have to feed them, cloth them and house them, plus give them proper medications… all these methodically. And to be candid, if you`re not willing to take care of your chickens as you`ll your children, maybe you should not start a chicken farm at all. If you`re a beginner on this business (just planning to start your own poultry farming in Nigeria or elsewhere) you definitely have interest in this question. However, as much as I will love to give you a straight answer here, there is no straight answer. What a poultry farmer uses to acquire land alone may be what another person will use to start and run a profitable poultry business. Land, which is one of the major expenses you will incur is vary in price. This depends on location. What you have to do is to make your findings. The cost of other instruments, feeds, vaccines and medications you will need is vary too, depending on where you are living, so don`t let me make any futile guess that may confuse you. This is what I want you to do. Make a list of everything you`ll need (from land to the littlest vaccine) for your poultry farming business and move out to investigate their prices in your vicinity. I know you may not know what and what you will need to start get a poultry farm going (since I’ve assumed you don`t know anything about poultry farming business), so below I will make a list of what and what you will need. Note; If you have the opportunity to visit any of our associates` poultry farm near you, you will see, touch or ask questions about any of these poultry equipment. Land/space. This depends on your intending scale of your poultry farm (I mean how big your intending farm). What if you have a large space at your backyard? It may be good to have your little pen (chicken house) there, in a small scale. A waste disposal system. Where will you be disposing the waste from your farm? Storage space for keeping your birds` foods, vaccines and eggs. Vaccines and food which could be your major expenses farms. What else should we discuss? Housing your children (ho forgive me, chicken)? The Cost of Feeding Your Chicken in Nigeria. In your poultry business, at the long run, feeding your chickens will be the major area where most of your investment will go. Unlike Piggery , Snailry and Fishery where it`s easier to give some locally devised feeds to the pigs and fishes, to formulate chicken`s feeds is not as easy. So I think it will be nice if you can have the idea of how much your chicken will eat. 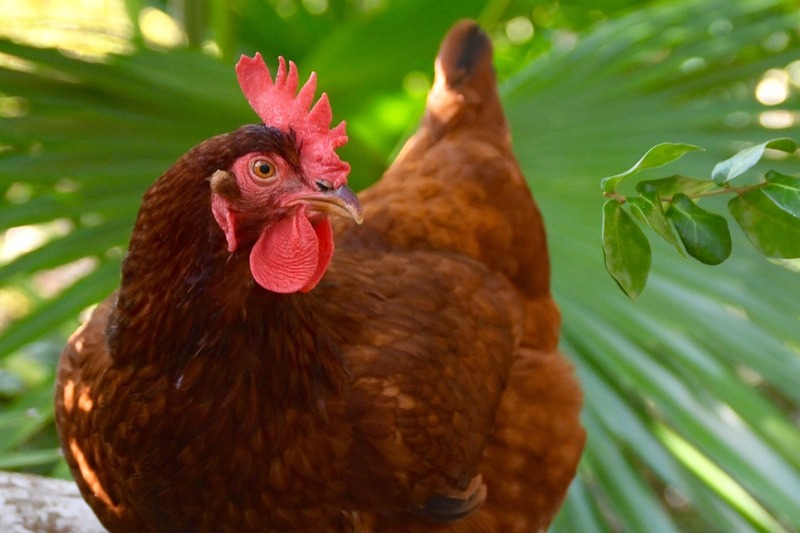 Just as we humans live in various kinds of houses, so are the animals and our chickens. And just as you will want to be careful about how and where you shelter your little children, believe me, chicks and chickens need special attention and care. Let me share with you a few options you have while considering the housing system you will go for. Free range system. This is commonly seen around you. Usually people buy chicks and allow them to roam about. Some people care a little to feed them while some do not. This may not be your option is you`re planning to go into the commercial poultry farming in Nigeria. Saw dust system. Yes, that`s not the name they call it in the academic world, but since my aim here is to communicate to people and let them understand me. I have to use simplest words possible. Here you will have your birds in a room where you will fill the floor with saw dust. This dust must be changed often or else the odour will be too bad. This could be a good place to start your poultry farming in Nigeria. Battery cage system. Here you house your birds inside cages. These cages are of different sizes and structures so as to cater for both the chicks (little chickens) and their older ones respectively. The space for feeding, eggs and dropping have been provided for in this structure. This housing system is the most preferred, but it could be a little expensive than the previous systems. What else will you love to know? How profitable is poultry farming business? Your market. Since what you want to sell is chicken and egg, a location near city is usually good. Why not city itself? The numbers of staff you’ll need, like other things, depends largely on the size of your intending chicken farm. You will need people to take care of feeding your birds, take care of droppings and wastes, pick eggs and of course market your products, be it eggs or chickens. I will love to prepare your mind for some risks (really if I have a better name I would have chosen it so has not to scare you away from poultry business). If you are a beginner in this game, it will be good for you to be aware of the following threats and prepare yourself for them. Just as I have told you, life and business are full of risk and there is nothing anyone can do about that, except to prepare for them. Poultry Employees and Outsiders` Theft. You need to be aware of this… many people are thieves. 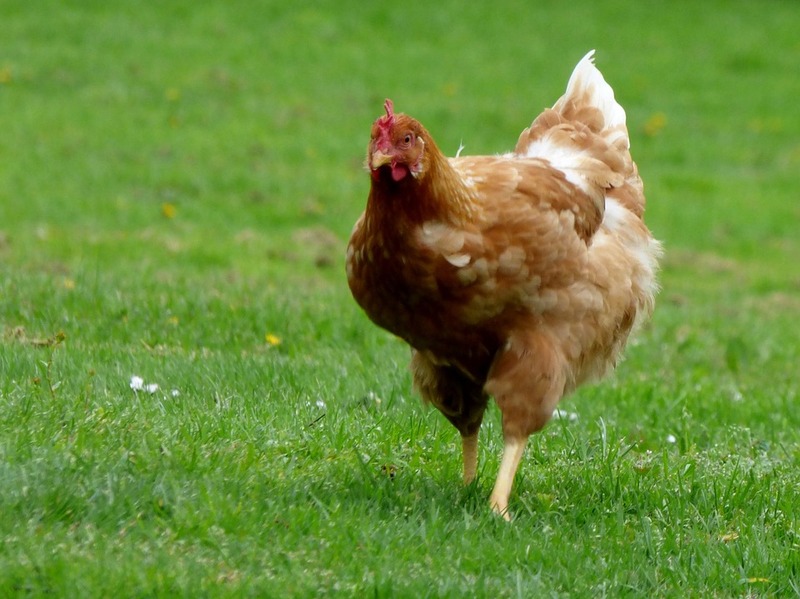 People steal, and even more in poultry farms (because fowls lay eggs all through the day). Not just eggs, when your farm becomes large, even outsiders find ways to penetrate into your poultry farm and steal. That is why it may not be advisable for you to start your poultry business and not be there yourself. Now to your question, how profitable is the poultry business? This is where the real deal is. If we discuss every other things and omit this, nothing is discussed, after all you`re in this game so as to make money. Even before you start your poultry farm, make sure you investigate and know your market… where you`ll be selling your eggs and chickens. Make contact with some of the egg retailers. Find out the prices they are buying a crate of egg. Do likewise with the chicken market. Understand the logistics and cost of transportation from your farm to the market you`ll be selling to and appropriately plan for every expenses. I am sure you know, poultry farming business is not in any way different from other businesses out there. There are competition and there are strategies to win the market. I strongly advise that you read our tutorial about business strategies. Just as I discussed in our tutorial about business strategies, the profitability of any business (whether poultry or not) is dependent on the ability of the business owner to make it profitable. If you take your time to learn ins and outs of business world and apply the right strategies in your market place, you can make good money in the poultry farming business. Get out and find out. You cannot possibly find out everything you need to know about poultry farming through the internet. The reason is because, places, time and situations are differ. If anyone gives you every cost, expectations and details about this business online, most of those information will be incorrect because of the time and location differences. Even people in the same city are buying the same things at different prices. Now, you get what I am saying. You have a work to do. Get out in a weekend and meet with different kinds of people. To get our Free practical poultry farming training and to invite our experienced poultry farmers, click HERE. We`re giving you a rare opportunity to visit and learn how to start poultry farming, practically from our poultry farm Free because we want to contribute our part to the Agricultural revolution in Nigeria. Why do I call it a rare opportunity? You see, poultry farm is not where you can open your door and allow just anyone to come and see. This is because people who visit your farm could be germs carriers and this could lead to disease outbreak on your farm. That`s the reason why most poultry farmers will never allow you to enter their pens. But we want to teach and show you everything you need to start your own poultry farming business, profitably, that`s the reason why we want to take you to our associates` poultry farm. One of our partners and an experienced poultry farmer will hold you by the hand, teach and show you everything. How to take care of your layers and broilers at different stage to avoid high mortality rate for your birds. Get a good location for your poultry farm. As stated earlier, any serious poultry farm must be located in a non-residential environment. The reason for that is because of the poultry farm odour. Nobody (not even you) can endure living close to chicken pens so you have to buy land in a newly developing area. 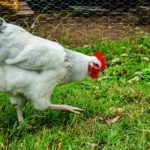 If you’re planning to rear chickens, you’ll have to decide whether you’ll be rearing broilers or layers. Layers lay eggs while broilers are for meat production (alone). When getting started in poultry business in Nigeria, you have the options between buying the day-old chicks and point-of-lay birds. Day old are little chicks while point-of-lay birds are chicken that are about to be laying eggs. Point-of-lay is better for a beginner farmer but it could be more expensive. Either way, make sure you’re buying from trusted poultry hatchery because the health of your chicks or point-of-lay birds could determine your success or failure in the poultry business. There are many important vaccines for poultry birds but non is probably as important as the first few vaccines after the day-old chicks are delivered to your farm. Just as it’s in humans and other animals, early vaccine could make your bird healthy or sickly. Seek advice of an experienced poultry farmer or a veterinary doctor near you. It may take some time but it’s what you or your employer have to do __ mastering regular vaccinations calendar of poultry birds. It may be a good strategy for you to employ someone who has already worked in the poultry industry for some years, so he could use his/her experience to guild you about birds’ vaccines and vaccinations. Many of the sickness of birds are contagious and that’s the reason why an experienced poultry farmer will watch carefully for sick birds and separate them from the rest of the birds. It doesn’t matter what you produce or create, marketing is the most important thing in the business world. 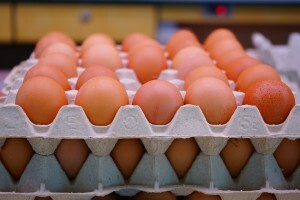 Marketing your poultry eggs or meat doesn’t have to be easy. It’s what you have to do. We cover this aspect extensively in our poultry farming training because it’s the most important. Needless to say, this is a business (and a very serious one for that matter). Most Nigerians see poultry as a farming, but it’s a business. If you’re not business-minded, manage every cost, people and the farm professionally, you’re not going to have a lucrative poultry business in Nigeria. Your life becomes easier by the time you learn how to leverage on the experience of people who have gone ahead. Look in your environment for an experienced poultry farmer and attach yourself with him for practical training or consultancy. Our practical poultry farming business training can help you a lot. The most exciting thing about this is that it`s NOT just an E-book. This is a practical poultry business training where you`ll be in a poultry farm, one of our experienced poultry farmers will teach and show you everything you want to know while you`ll be seeing, touching and asking questions. Where Can You Get This Poultry Farming Training? 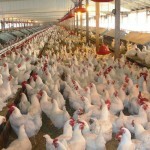 We (at the ABC) have our associates` poultry farms in more than 13 states of Nigeria. To see a nearby poultry farm where you can go through our Free practical Poultry training, invite our experienced poultry farmers to work with you and get our company’s phone numbers, Click Here Now!